I always recommend shooting in natural light as it gives the best effect but sometimes that just isn't possible, especially if want to blog at night or just find your images to look lack luster. However to correct this you can buy a ring light that fits onto your camera lens and connects to the cameras flash. The above ring light is affordable and comes with the option to have it continuously on when shooting or to be used as a flash, I think I would prefer it to be constantly on so I can see how illuminated my shot is in live view. It also works with close-up macro photography, making it perfect for product shots and it fits various lens sizes. Just make sure to check it's compatible with your own camera! Fairy lights make for a lovely prop around products and I've used so many styles over the years. But my favourite discovery of 2016 has seen these lovely micro fairy lights. They are inexpensive and as they come on a wire they can be bent around products or even wrapped around them, or you can simply place them in the background for a diffused glow. They also come battery operated and there's a choice of 20 - 40 lights on a 4 metre length of wire. If you take product shots or flat lays then it's important to find backgrounds you love and will enhance your images. I've gone through various backgrounds over the years, many from eBay and all very affordable. Here are the ones I highly recommend! 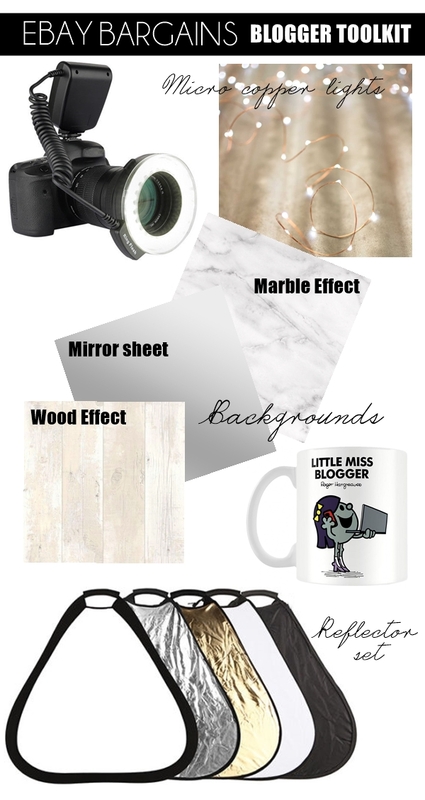 Marble Contact Paper (£6.99 HERE) - A marble background seems to be a bloggers staple and I will admit I'm still not bored of it! It's chic, simple and can be made with simple marble contact paper. You will need to pick up a thin piece of board from a DIY store but then you simply peel off the marble sticky paper and lay it down onto the board. This means you can make your background as big or as small as you wish and you will have a sturdy background that will last years. Coloured Acrylic Sheets (A4 £3.85 | A3 £5.25 HERE) - For years I used both a white and black acrylic sheets as my photography background and they worked great! I used A3 3mm thick sheets and with a slight reflection I really liked how they looked. They are also wipe clean so you can get creative and apply product directly onto them (as you can see here) and they store easy. A bit of a gem if you want a solid colour background that will last. Mirror Acrylic Sheet (A4 £3.50 | A3 £8.02 HERE) - You can also pick up mirrored acrylic sheeting which looks exactly like mirror glass but won't shatter. 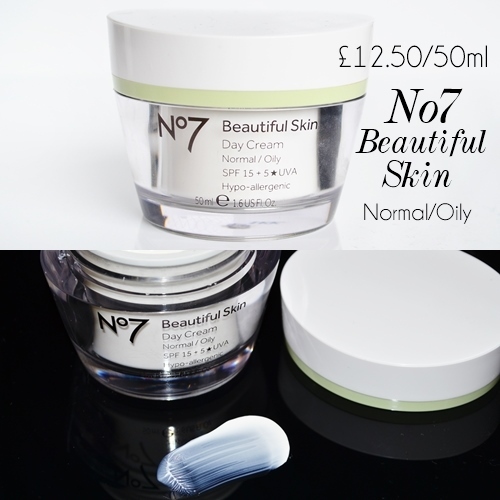 This looks good as it's reflects the products you are photographing and is something a bit unique to try. Driftwood Effect Wallpaper Sample - 5 styles (A4 sample 99p | 2 metre sample £2.99 HERE) - Wallpaper samples are a great way to try out different backgrounds on a budget, you can even pick them up for free in DIY stores. But if you want something a bit more unique you can find so many amazing ones on eBay. I particularly like this driftwood effect wallpaper that comes in a few colourways and can be purchased in 2 metre lengths - ideal if you want a large background. Okay, so this isn't a bargain... but I couldn't resist including it! I keep spotting this exact mug more and more on social media on the desk's of bloggers and I now feel I need to follow suit! Pricey, but mugs do last and it's just perfect for any blogger. Lastly I wanted to included this affordable reflector set I came across that's importantly handheld! The set consists of 5 different reflector skins that suit different shoot conditions from taking product shots to makeup looks. I know I would get the most use from the silver reflector as it's perfect for bouncing light onto flat lays/products and removing harsh shadows. So pleased with this find! Hope you've found a few items here to add to your own Blogger tool kit!